The Payment Card Industry Security Standards Council (PCI SSC) is extending the migration completion date to 30 June 2018 for transitioning from SSL and TLS 1.0 to a secure version of TLS (currently v1.1 or higher). These dates provided by PCI SSC as of December 2015 supersede the original dates issued in both PCI Data Security Standard v3.1 (DSS 3.1) and in the Migrating from SSL and early TLS Information Supplement in April 2015. Below are answers to questions about new timelines, requirements and reasons for the adjustments. Thank you to all who have provided feedback on the issue, including members of the National Institute of Standards & Technology (NIST), members of the Financial Services Information Sharing Analysis Center (FS-ISAC), Retail Solution Providers Association, Hotel Technology Next Generation, National Restaurant Association and Retail Industry Leaders Association. Should you wish to share the information from this blog post, a PDF copy of the questions and answers below is provided at the bottom of this blog post. A video explaining the date change and many considerations that go along with it is also available on the PCI Security Standards Council website. The vulnerabilities within SSL and early TLS are serious and left unaddressed put organizations at risk of being breached. Q: Why change the original date for SSL included in PCI DSS v3.1? A: For more than 20 years Secure Sockets Layer (SSL) has been one of the most widely-used encryption protocols. It remains in widespread use today despite existence of a number of security vulnerabilities and being deprecated by NIST in 2014. In April 2015, after extensive marketplace feedback, PCI SSC removed SSL as an example of strong cryptography from the PCI Data Security Standard (PCI DSS) version 3.1, stating that it can no longer be used as a security control after 30 June 2016. During the implementation period of PCI DSS 3.1, PCI SSC continued to seek feedback from the market, and has now revised and updated sunset dates. The new date of June 2018 offers additional time to migrate to more secure protocols, but waiting is not recommended. The existence of the POODLE and Heartbleed exploits, among others, prove that anyone using SSL and early TLS risks being breached. All processing and third party entities – including Acquirers, Processors, Gateways and Service Providers must provide a TLS 1.1 or greater service offering by June 2016. Consistent with the existing language in PCI DSS v3.1, all new implementations must be enabled with TLS 1.1 or greater. TLS 1.2 is recommended. All entities must cutover to use only a secure version of TLS (as defined by NIST) effective 30 June 2018 (with the following exception). The use of SSL/early TLS within a POI terminal and its termination point that can be verified as not being susceptible to all known exploits for SSL and early TLS, with no demonstrative risk, can be used beyond June 2018 consistent with the existing language in PCI DSS v3.1 for such an exception. Q: What is the PCI Standards Security Council doing next? A: PCI DSS v3.1 will be updated in 2016. Information supplements and additional guidance will also be updated at this time. A: Transport Layer Security (TLS) is a cryptographic protocol used to establish a secure communications channel between two systems. It is used to authenticate one or both systems, and protect the confidentiality and integrity of information that passes between systems. Q: What are the SSL/TLS Vulnerabilities? A: Because of its widespread use online, SSL and TLS have been targets by security researchers and attackers. Many vulnerabilities in SSL and TLS have been uncovered over the past 20 years. Q: What are the different classes of vulnerabilities? A: Protocol Vulnerabilities: There are many! Cryptographic vulnerabilities in either the SSL/TLS protocol itself, or in how it uses cryptographic algorithms. e.g., POODLE, BEAST, CRIME. Implementation Vulnerabilities: Vulnerabilities in TLS software. E.g., Heartbleed’s Buffer over-read vulnerability in OpenSSL. Configuration Vulnerabilities: e.g., weak cipher suites or key sizes. Logjam attacks using export-grade cryptography. Q: What are the impacts of vulnerabilities? A: Loss of confidentiality or integrity: Many of the attacks, particularly protocol vulnerabilities, allow for Man-in-the-Middle attacks allowing an attacker to decrypt sensitive information. Loss of cryptographic keys: In some of the most serious cases, vulnerabilities could allow an attack to steal long-lived cryptographic keys. Q: Who is most susceptible to SSL vulnerabilities? A: Online and e-commerce environments using SSL (and early versions of TLS) are most susceptible to the SSL exploits and attacks and should be upgraded immediately. With that being said, the PCI DSS migration date of 30 June 2018 applies to all environments (except for Point of Interaction (POI) environments as stated above). Q: What you can and should do now? A: Migrate to a minimum of TLS 1.1, preferably TLS 1.2. While it is possible to implement countermeasures against some attacks on TLS, migrating to a later version of TLS - notably TLS 1.1 and TLS 1.2 - is the only reliable method to protect yourself from the current protocol vulnerabilities. Patch TLS software against implementation vulnerabilities. Implementation vulnerabilities, such as Heartbleed in OpenSSL, can pose serious risks. Keep your TLS software up-to-date to ensure you are patched against these vulnerabilities, and have countermeasures for other attacks. Configure TLS securely. In addition to providing support for later versions of TLS, ensure your TLS implementation is configured securely. Ensure you’re supporting secure TLS cipher suites and key sizes, and disable support for other cipher suites that are not necessary for interoperability. For example, disable support for weak “Export-Grade” cryptography, which was the source of the recent Logjam vulnerability. Q: If my payment terminals (POIs) use SSL or TLS 1.0 for encryption, do I need to replace my payment terminals? Q: Who can verify my POIs meet the above characteristics? A: Entities may contact the terminal vendors directly for evidence or attestation that payment devices are not susceptible to known vulnerabilities. Entities may also consult with knowledgeable security professionals to obtain verification. The verification will need to occur any time a new SSL/TLS vulnerability is discovered, and organizations will need to remain up-to-date with vulnerability trends to determine whether or not they are susceptible to any known exploits. New threats and risks must continue to be managed in accordance with applicable PCI DSS Requirements, such as 6.1, 6.2, and 11.2. Q: Do all POIs use SSL for encryption? A: No. Newer payment devices should already be using secure protocols such as TLS version 1.2. Check with the terminal manufacturer or terminal documentation to understand what level of encryption your particular POI uses. If a device does not need to support SSL/early TLS, disable both use of and fallback to these versions. Q: My ASV scan is flagging the presence of SSL and my scan is failing. What should I do? A: Prior to 30 June 2018: Entities that have not completed their migration should provide the ASV with documented confirmation that they have implemented a Risk Mitigation and Migration Plan and are working to complete their migration by the required date. Receipt of this confirmation should be documented by the ASV as an exception under “Exceptions, False Positives, or Compensating Controls” in the ASV Scan Report Executive Summary. After 30 June 2018: Entities that have not completely migrated away from SSL/early TLS will need to follow process outlined in the ASV Program Guide section entitled “Managing False Positives and Other Disputes” to confirm the affected system is not susceptible to the particular vulnerabilities. For example, where SSL/early TLS is present but is not being used as a security control (e.g. is not being used to protect confidentiality of the communication). Q: Does this mean that I don’t have to address this vulnerability until 2018? A: No, this is not an excuse to delay addressing vulnerabilities. You should be patching those vulnerabilities that have patches. Q: What if a new attack is discovered on a current version of TLS? A: It is always important to focus on security and keep track of new vulnerabilities. Technology and threats are constantly evolving. When new vulnerabilities are discovered they need to be addressed and may result in a need to upgrade to a newer, more secure version of the TLS protocol. Future-planning is vital to stay protected. Implement strong options now is the recommended action. 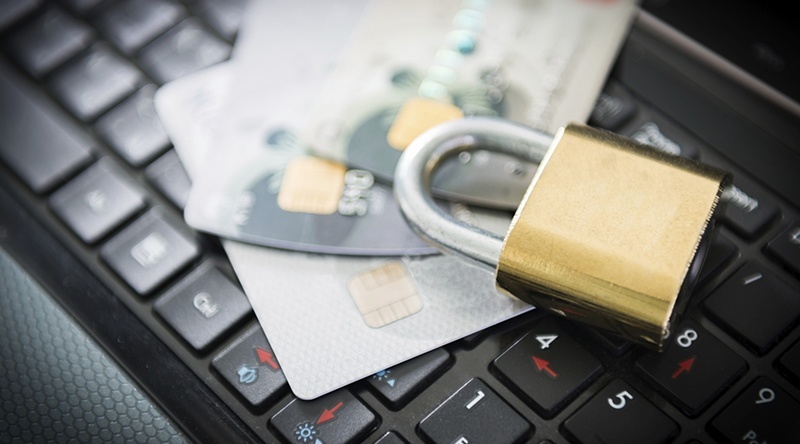 PCI DSS already requires organizations to keep systems protected from vulnerabilities. Q: What about Approved Scanning Vendors and how this impacts ASV scans? A: We’re aware that some current SSL vulnerabilities trigger a CVSS, Common Vulnerability Scoring System, score of 4.3. Any medium to high vulnerabilities, CVSS of 4.0 or higher must be corrected and rescanned to ensure the vulnerability has been addressed. However, because there are no known ways to address some SSL/early TLS vulnerabilities, it makes it difficult to correct and rescan as with other vulnerabilities. Prior to 30 June 2018, we recommend every entity work with their ASV and provide their migration plan as discussed previously. The ASV can document receipt of this plan under the “Exceptions, False Positives, or Compensating Controls” section of the ASV scan report. After 30 June 2018, the entity still has SSL or early TLS in their environment, they will need to document that it has been verified the systems are not susceptible to the vulnerability and complete the Addressing Vulnerabilities with Compensating Controls process for their particular environment. For POS POI environments, where it has been verified that terminals are not susceptible to current SSL vulnerabilities, the ASV has the discretion to change the CVSS score for a specific vulnerability as long as they follow the defined process in the ASV program guide and provide justification for the change. It’s important for the ASV to consider the clients unique environment before making any changes. Q: What goes into creating a risk mitigation and migration plan? A: A risk mitigation and migration plan details how an entity will address the migration to a secure protocol, including the controls in place to reduce risk associated with SSL and early TLS, until their migration is complete. The plan will need to be provided to an assessor during an entity’s PCI DSS assessment. An assessor can then check the progress of the plan if a Report on Compliance (ROC) is completed prior to June 2018. Q: Can you give some examples of information that may need to be included in the risk mitigation and migration plan? The type of data being transmitted – for example does it include elements of payment card account data, administrative connections etc. Number and types of systems using and/or supporting the protocols – e.g. POS POI terminals, payment switches, etc. Entities should have evaluated and documented the risk to their environment and have implemented risk reduction controls to help mitigate the risk until the vulnerable protocols can be completely removed. Entities need to be proactive and stay informed about new vulnerabilities. As new vulnerabilities are published, the entity needs to evaluate the risk they pose to their environment and determine if additional risk reduction controls need to be implemented until the migration is complete. If an entity does not currently use or need to support vulnerable protocols, there is no reason why it should introduce such protocols to their environment. Change controls processes include evaluating the impact of the change to confirm the change does not introduce a new security weakness into the environment. Migration planning documentation includes identifying which systems/environments are being migrated and when, as well as a target date by which the overall migration will be completed. The target date for the overall migration must be on or before 30th June 2018. Q: Where do you begin with the migration process? It is important to build a communications element into migration planning. Consider how much leg work it will take to get agreement on changing. The PCI Council has published very specific guidance on interim risk mitigation approaches, migration recommendations and alternative options for strong cryptographic protocols, including FAQs and tips for small merchant environments, all available on the website. The information supplement will be updated with the new dates. However, the guidance in it is still relevant and helpful; please review it for valuable content realizing that the dates will be updated. Q: I am a small merchant and/or franchisee and my employees are not security professionals. Where can I get additional support? A: It is recommended that small merchants and franchisees work with their acquiring bank to determine whether their environment is at risk for SSL or early versions of TLS vulnerabilities. A PDF version of these questions and answers can be downloaded here.